Considered a leading resource for Georgia workers' compensation, this popular treatise provides quick answers on this complex area of law. 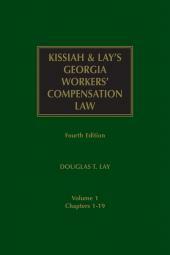 Written by one of the state's leading experts, Kissiah and Lay's Georgia Workers' Compensation Law is the most detailed, accurate, and up-to-date resource available to Georgia attorneys who practice in this area. It analyzes exhaustively the statutes, regulatory provisions, and case law decisions governing workers' compensation law in Georgia, providing essential information to personnel managers, risk managers, and insurance adjusters, as well as workers' compensation attorneys. Douglas T. Lay is an attorney based in Alpharetta, Georgia, a suburb of Atlanta, and practices throughout the state in the field of workers’ compensation law representing employers and insurers. He is the managing partner of the law firm of Kissiah & Lay. 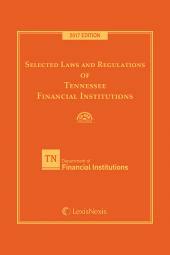 In addition to the two-volume treatise, Kissiah and Lay’s Georgia Workers’ Compensation Law (Lexis/Nexis) that is currently in its fourth edition, he is a contributing author of The Complete Guide to Medicare Secondary Payer Compliance – Lexis/Nexis Publishing, and a contributing author of Workers’ Compensation Emerging Issues Analysis – Lexis/Nexis Publishing. He is a member of the Larson’s National Workers’ Compensation Advisory Board. He is an attorney instructor for the Georgia Certified Workers’ Compensation Professional Program. He is a frequent author and speaker for a variety of continuing legal education and business audiences, including the State Board of Workers’ Compensation; the State Bar of Georgia and the Annual Worker’s Compensation Advanced Seminar for Workers’ Compensation Attorneys. He resides in Georgia with his wife and three children and serves on the Board of Trustees of King’s Ridge Christian School. He attended the University of South Carolina at the Spartanburg and Columbia campuses and graduated with a B.S. degree. He graduated with a J.D. degree from Mercer University School of Law in Macon, Georgia where he was a member of the Mercer Law Review and Mercer Moot Court Board. He is a graduate of The United States Army Airborne School and The United States Army Officer Basic Course for both the Signal Corps and Judge Advocate General Corp (JAG) and served as a commissioned officer in the Signal Corps with the South Carolina Army National Guard and as a JAG Officer with the United States Army Reserve in Georgia. He is a member of the Georgia bar and was admitted to practice in 1992.